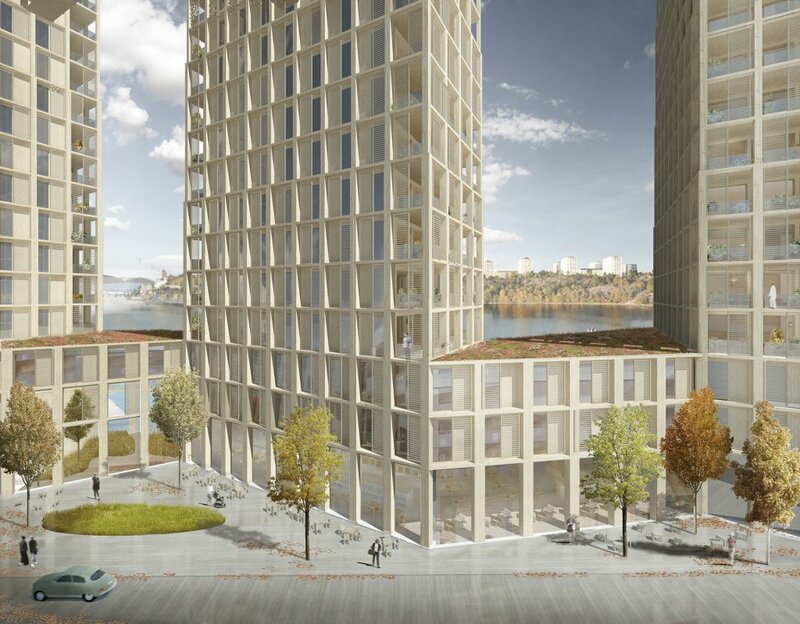 A new mixed use development with 240 apartments in Loudden, Stockholm. All built in solid wood technique for the specialized wood construction developer Folkhem. Stockholm is growing fast and the Loudden area, the former international transport harbour, on the northeastern island of Djurgården, is planned to be converted into a new urban area. 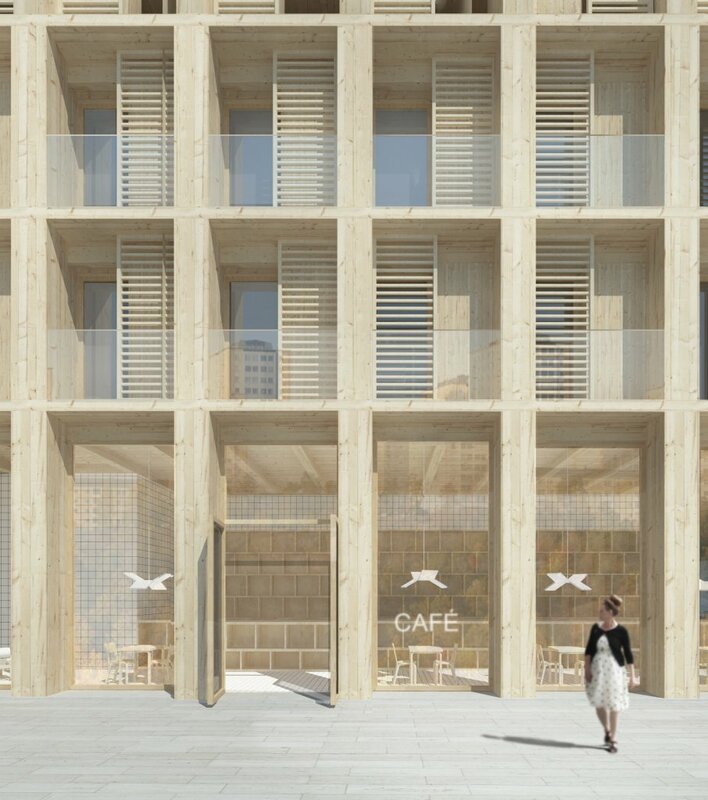 In line with the overall direction for this new development to achieve real long term environmentally sustainable solutions, Tham & Videgård Arkitekter have developed a proposal for apartment blocks of solid wood. 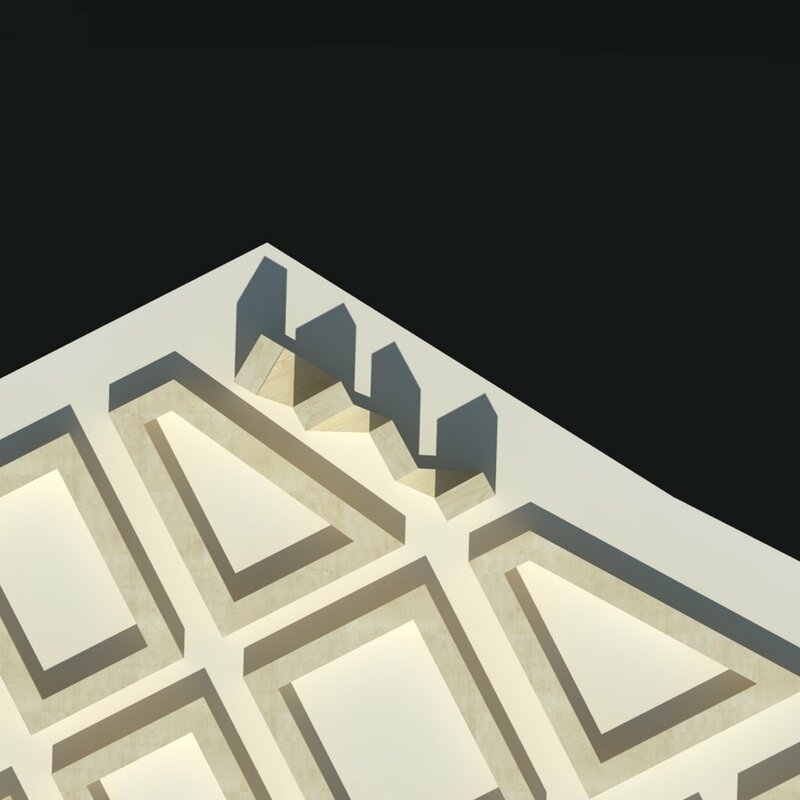 The project investigates the possibility of building high rise buildings along the quay next to a planned six storey urban block structure following the classical carré typology. 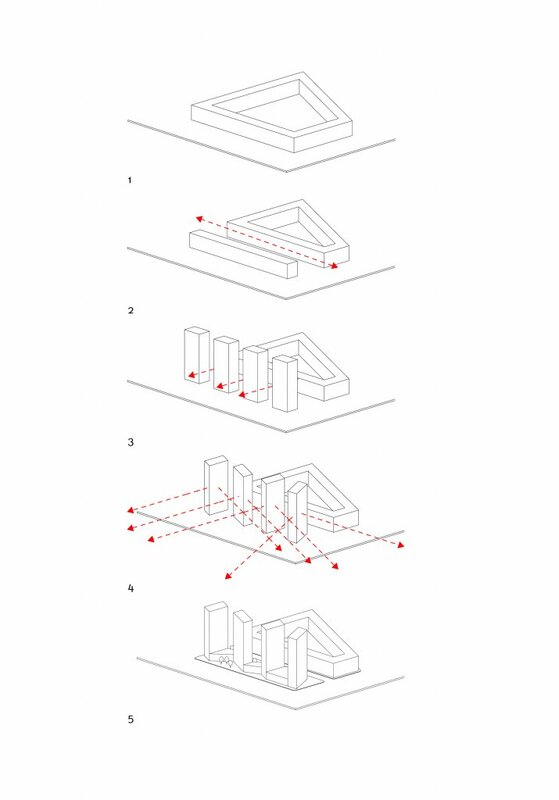 The project thus aims to create new urban and spatial qualities through careful study of placement, outlooks, solar angles, street section and architectural form. The selected site in the northern part of the former harbour area sits directly on the quay next to the sea. Four 20-storey apartment buildings form together a new landmark, a cornerstone within the new area. Gaps between the buildings leave open views from the block behind towards the sea and also let direct sunlight reach to the north-facing quay promenade. The high rise towers are interconnected by a three-storey base that supports a clear street section. 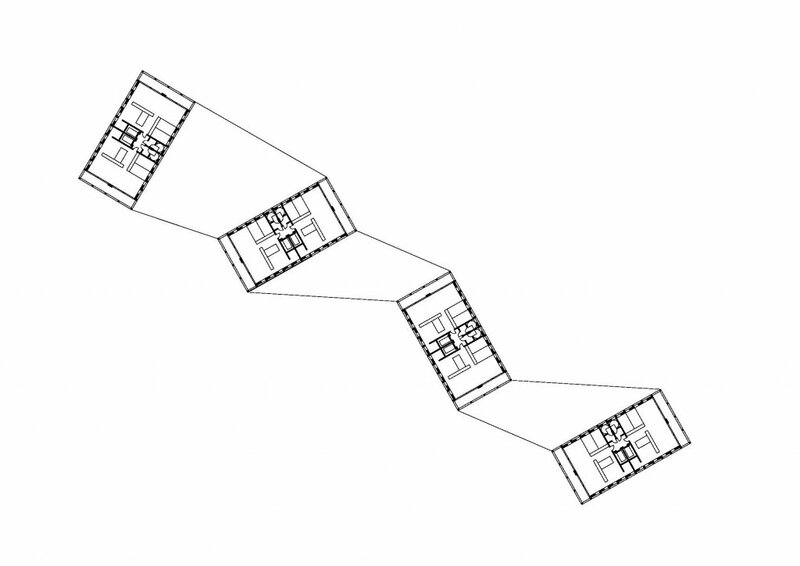 Its folded plan shapes exterior spaces for meetings and outdoor activities in wind sheltered and sunny locations. The buildings are constructed entirely in one material, Swedish solid wood, from the frame to the facade, finishes and windows. Through consistent use of a renewable material like wood, the result is a sustainable, well insulated and robust house structure with good potential to perform well over time, and minimize the total energy consumption. 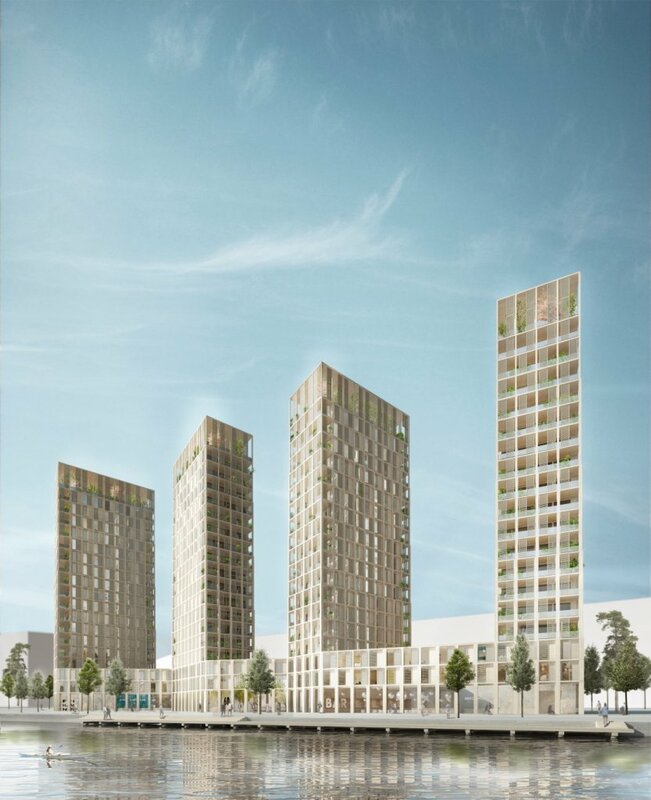 The roof of the lower base will be covered with sedum plants that take care of rainwater, while the roof of the four towers will be fitted with solar cells. At the top of each tower, there is a common winter garden for recreation and social activities.